Prickly and Bitter: It's not Christmas, but here's a Cactus! 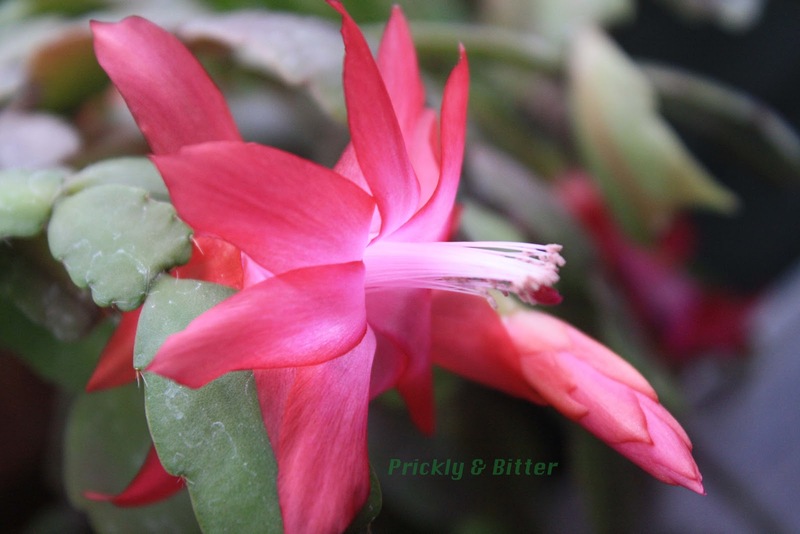 This species of Christmas cactus (there is more than one, and most of the Christmas cacti sold in store around Christmas are actually hybrids) is native to a very small area in Brazil, in the Amazon jungle near Rio de Janeiro. It was once severely over-harvested in the wild due to the ornamental plant trade, and so European species of the same genus were purposely introduced into the wild to prevent over-harvesting of the native species. 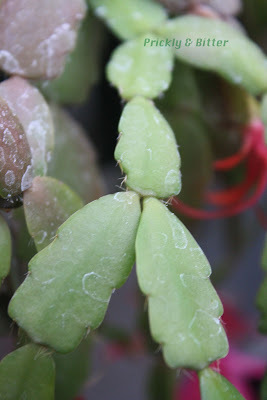 Since then, quite a bit of hybridization has occurred between the two species (both in the wild and in greenhouses), and so most that are sold in stores are not a "true" species. The Christmas cactus is an epiphyte, living on standing tree trunks or off of tree branches. It also has the ability to grow on the surface of rocks in very humid areas, this is called an epilythic plant. There are a few plants I've already blogged about that are also notorious lithophytes: the monkey pitcher plant (read about it HERE), paph orchids (read about them HERE), staghorn ferns (read about them HERE or HERE), and other more "regular" species of ferns (read about one HERE). There are also very close relatives of the pineapple that grow on rock faces in the tropics, and can even grow (and commonly do) on telephone and electrical wires! 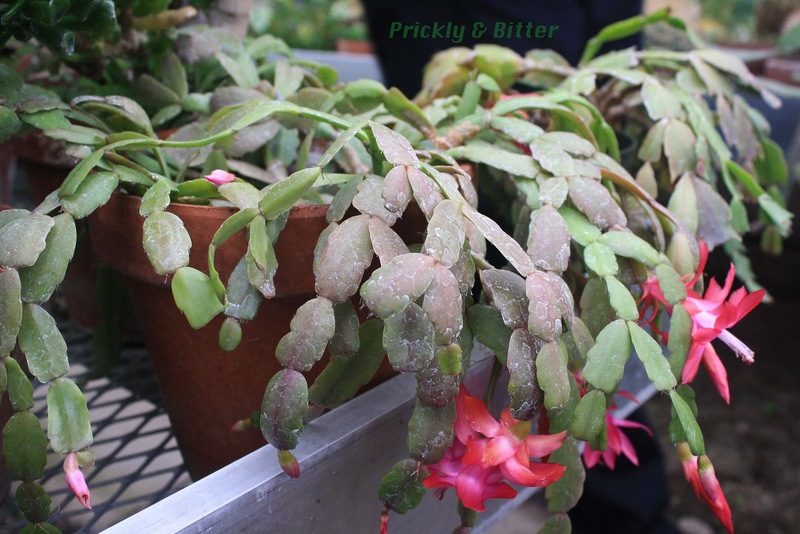 There are very few pests of Christmas cactuses, but they can suffer from all of the same diseases and pests that any greenhouse plant can (aphids, mealybugs, and Fusarium vascular wilt; all very common in greenhouses). 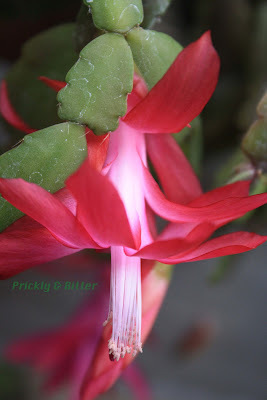 It does have a unique disease: Christmas Cactus X virus. Like with the Hosta X virus, there is no known solution to infection once it is visible in the plant, and so it is strongly suggested that plants be destroyed once symptoms are noticed (usually a yellowing around the vascular system of the plant, the "veins", and the infection can jump from section to section in the stem).